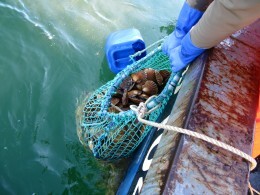 Did you know … We have our own fishing boats and on site tanks? A few short meters separate our chefs from an array of seawater tanks , constantly replenished with clear cold water from the depths of Loch Leven. 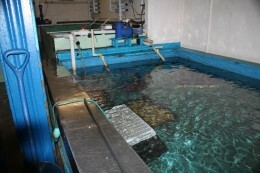 These tanks hold live lobster, crab, langoustine, various varieties of clams and oysters awaiting your order to ensure some of the freshest seafood on offer in Scotland. The Grieve families other business, Lochleven Shellfish Scotland Ltd, runs the attached dispatch centre supplying customers in Asia, Europe and the UK with live shellfish. 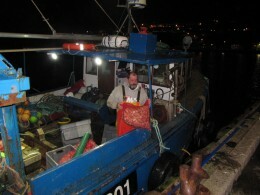 The company owns three west coast based fishing boats, two crews diving for Scallops and the other for clams. 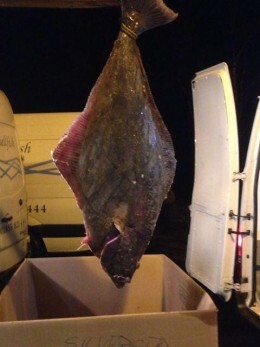 Its goes without saying that our chefs and shop get the first choice of the catch each day. A family friend, Bob Hamilton, works his small creel boat in Loch Leven and the adjacent Linnhe Loch supplying the restaurant with superb langoustines and Glencoe shellfish andbringing us daily deliveries of succulent mussels that are rope grown in Loch Leven. 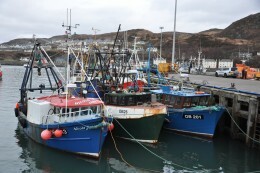 Local, James Maclean, from Silver Sea Fish keeps his eyes open on the fish markets for top quality fish for our daily specials board much of which is landed in nearby Mallaig a west coast fishing village. Lochleven Shellfish views the Seafood Café as a showcase of the very best produce from Scotland’s Waters.